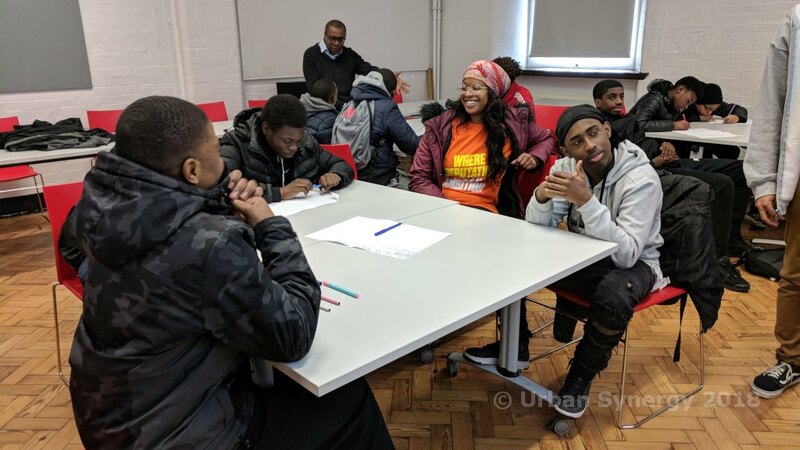 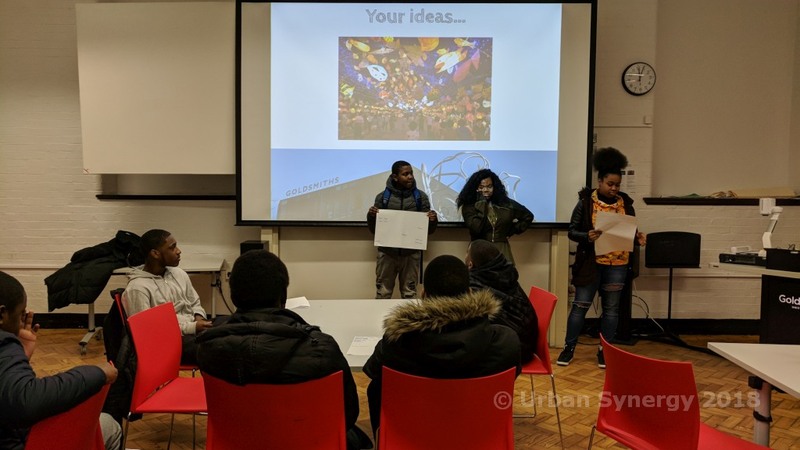 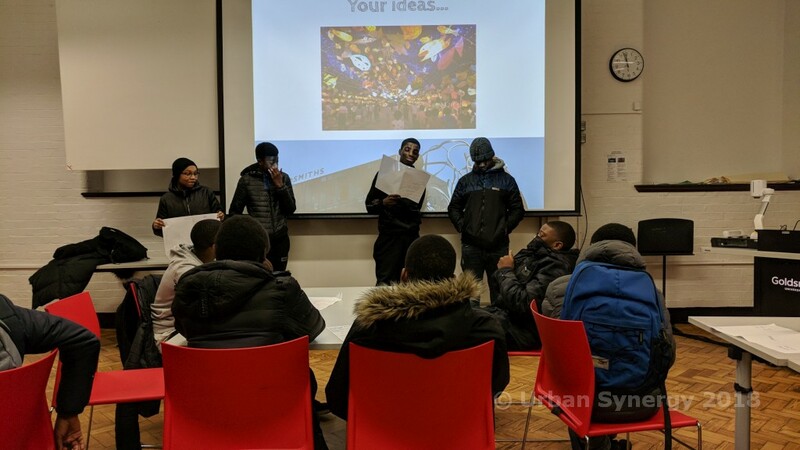 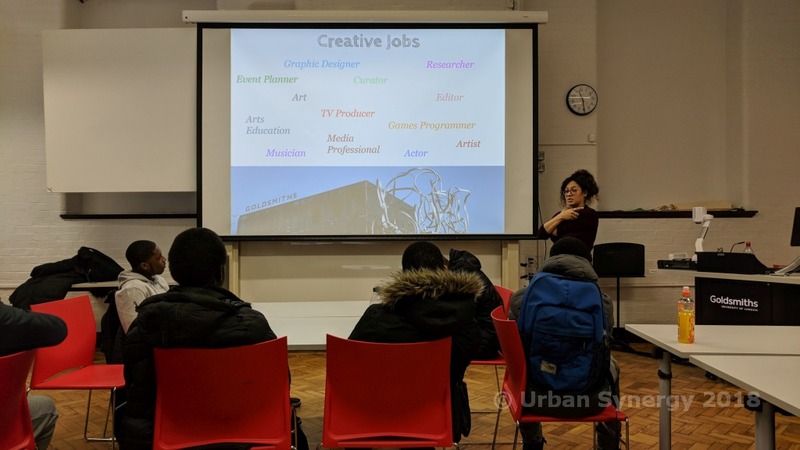 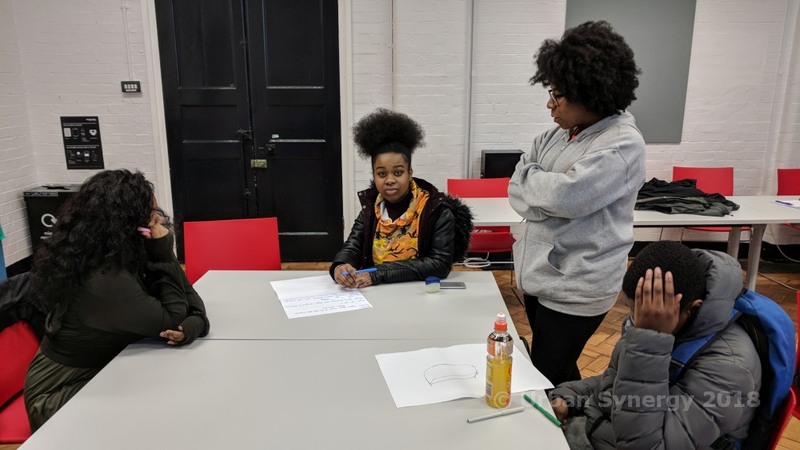 Goldsmiths University invited Urban Synergy mentees to attend a ‘taster day’ on Thursday 15th February, the visit was hosted by Marlyee Copeland and Goldsmith’s student ambassadors. 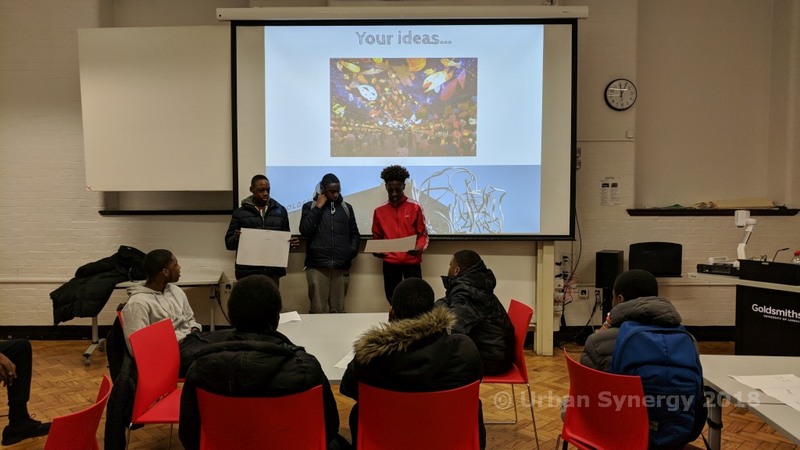 Our mentees were told about the numerous societies that they could join or could create their own and also informed about the types of subjects that could be studied. 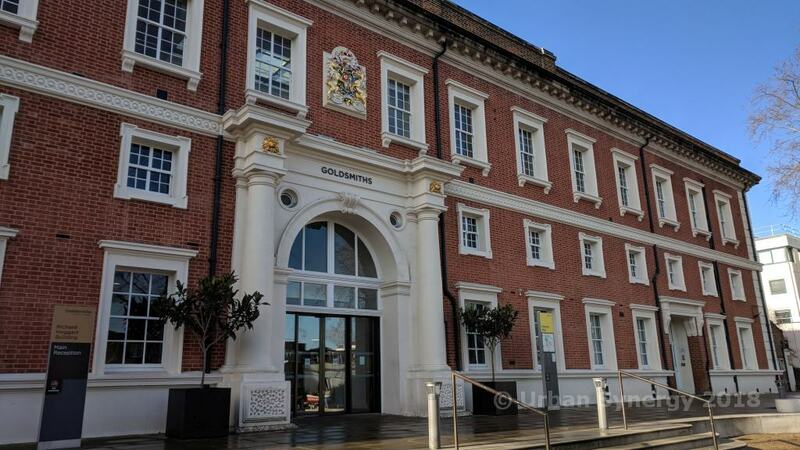 They were also told about the Goldsmiths’ alumni who have attended the university including; Steve McQueen (Film Director), Vivienne Westwood (Fashion Designer), Damon Albarn (Musician) and Damien Hirst (Artist). 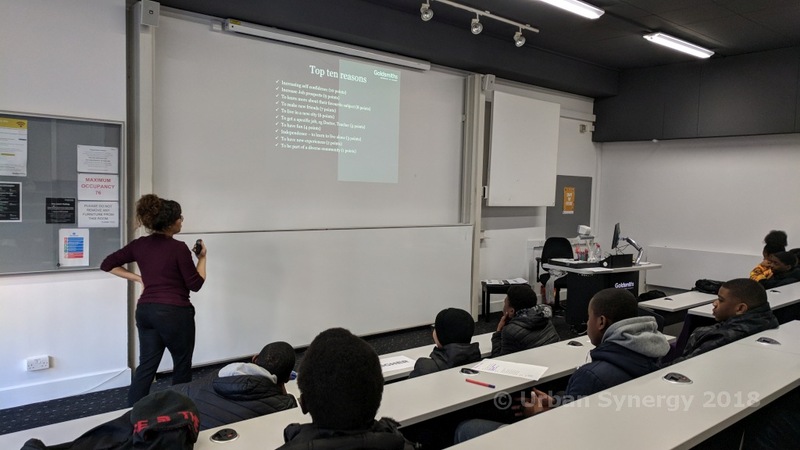 Thank you to Goldsmiths University for hosting the event for our mentees and to Marlyee Copeland and the student ambassadors.